Only 20 minutes drive from Halls Gap, the historic gold mining town of Stawell is the closest major commercial centre to the Grampians National Park. Stawell is famous for hosting the annual Stawell Gift, first run in 1878. Check out the track at Central Park from the Stawell Gift Hall of Fame which also showcases memorabilia of the most prestigious footrace in Australia. The 120 metre handicap race is held annually over the Easter long weekend. Travel to the nearby Black Range State Park and take the walk to Bunjil's Shelter– a huge rock overhang with ancient rock art depicting Bunjil, an Aboriginal spirit figure. Take a break at pretty Cato Park, take a walk around the lake and kids can enjoy the playground. On the hour at 3, 6, 9 & 12 o'clock watch the animated Town Hall Clock chime and get a sense of the township's rich mining history. Stop in at one of the many cafes on Stawell's Main Street and take in the town's historic gold rush architecture and the striking Grampians mountain range in the distance. 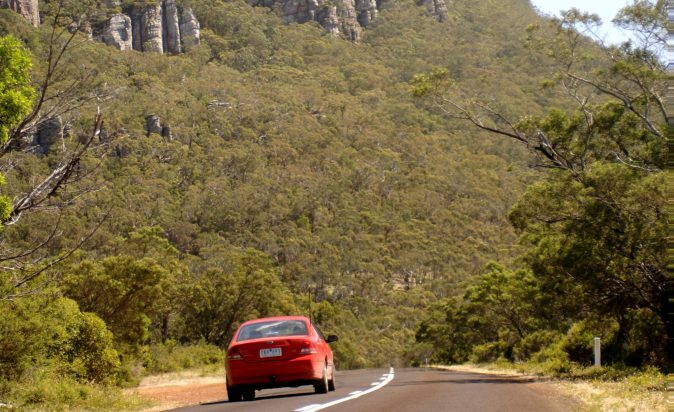 Visit Big Hill lookout for some of the best views over the Black Range and the Grampians National Park. A great place to have a picnic and watch the sunset over the town.